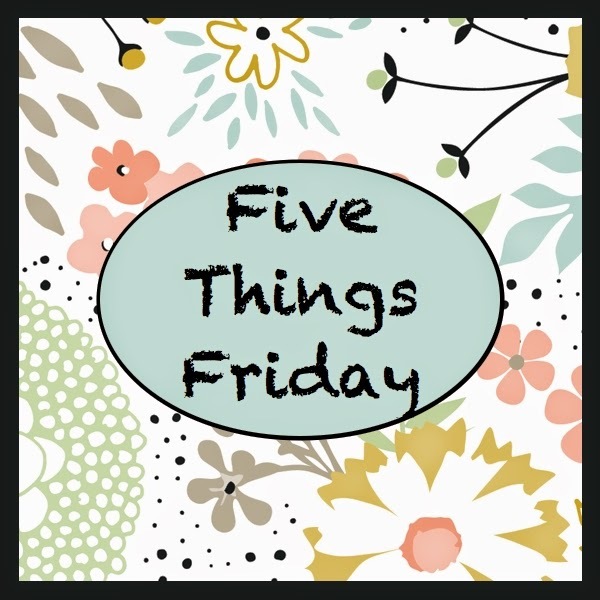 Thanks for stopping in for a little Five Things Friday! This week has been one of my least productive EVER! It must be the change in weather coupled with the time change this month with a touch of laziness thrown in for good measure. I usually order Stampin' Up! 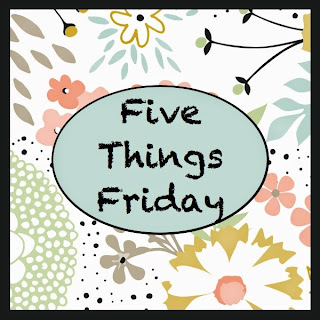 products with the thought of how my stamping club ladies will like the products and resultant projects. Today I bought a stamp set I have been wanting and am so anxious to get it! I have no plans to use it for stamping club although I might. I got it just for me:) What do you think? Was it a good purchase??? 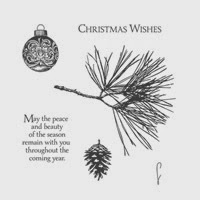 The projects on Pinterest using this stamp set (Ornamental Pine) are AMAZING! My darling son has a birthday on Saturday and will be 42 years old! WOW! Where have the years gone?!!! For at least the last 30 years, I have made him a Carrot Cake every year...his favorite! However, this year he asked for something different but didn't tell me what:( So, I am going to make a totally new-to-me recipe for Chocolate Cake and see how it turns out! Wish me luck! I am not a cake person so I would like anything but a cake! Isn't it beautiful?!!! I am so anxious to get started on it; just have two little projects ahead of it to finish. 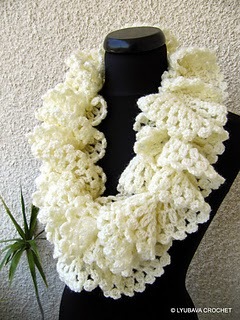 To purchase this pattern download for $5 go to Ravelry. You might need an account (free) but Ravelry is a great source for knit and crochet patterns, many of which are free. I thought this one was well worth paying a little bit for:) I am making it in Vanna's Glamour by Lion Brand in Topaz which has a gold thread running through it. So pretty for Christmas! I love a couple cups of Yerba Mate` every morning with a bit of raw honey. 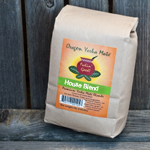 I purchase my Yerba Mate` from Oregon Yerba Mate in a 5 pound package although you can purchase much smaller packages. They also have several blends. I purchase the House Blend. Well, with those tidbits, I am off to get my house cleaned, a birthday cake baked and a big pot of Bean and Bulgar Chili made for tomorrow! Have a great day and a wonderful weekend! 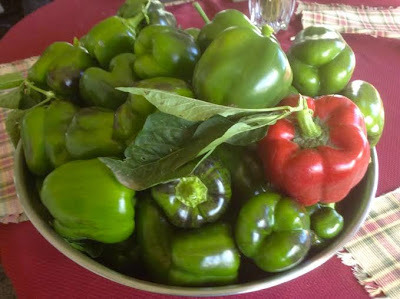 Thanks for stopping by and I will be back Sunday night for Carla's Sunday Night Chit-Chat! I love carrot cake. It's a tie for first with my other favourite, black forest cake. Oh, LOVE Black Fores Cake, not that I will eat it right now, BUT....I still like it! Love that ruffly scarf but not sure where I'd wear it at this point.